Faculdade de Ciências e Tecnologia (FCT) is one of the five schools integrating Universidade Nova de Lisboa (UNL). This school, founded in November 1977, is nowadays organized into 14 departments and 18 research centers, in a total of 568 members of academic and research staff. FCT provides high-quality university education in Sciences and Engineering to 7439 students, through undergraduate and graduate programs, comprising 89 courses. The Department of Mathematics, founded in 1978, offers undergraduate, MSc and PhD courses. 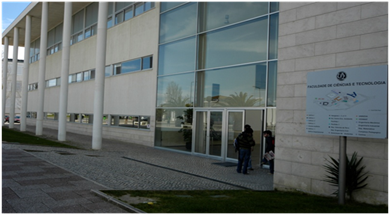 Some of the PhD courses are linked to international programs like ICTI Program in Applied Mathematics CMU - Portugal. The research activities of the department are mainly supported by the Centro de Matemática e Aplicações (CMA).